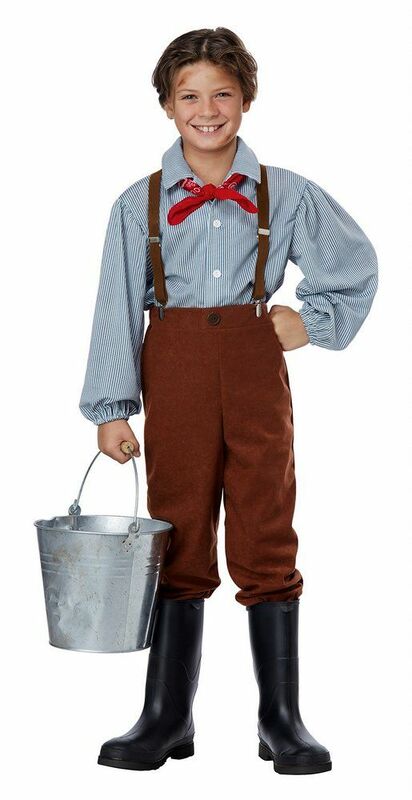 This Child's Pioneer Boy Costume includes the blue-gray and white striped long-sleeve shirt that buttons down the front, brown pants with elastic waist, brown adjustable y-back suspenders, and red bandana. 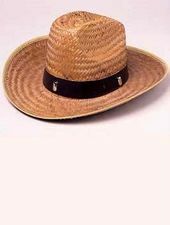 Straw Hat sold separately. Boots, bucket and lantern not included. 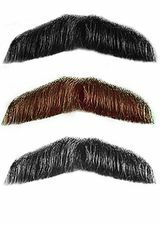 Our custom sizing chart for this costume can help you decide on a boy's medium, large or x-large. 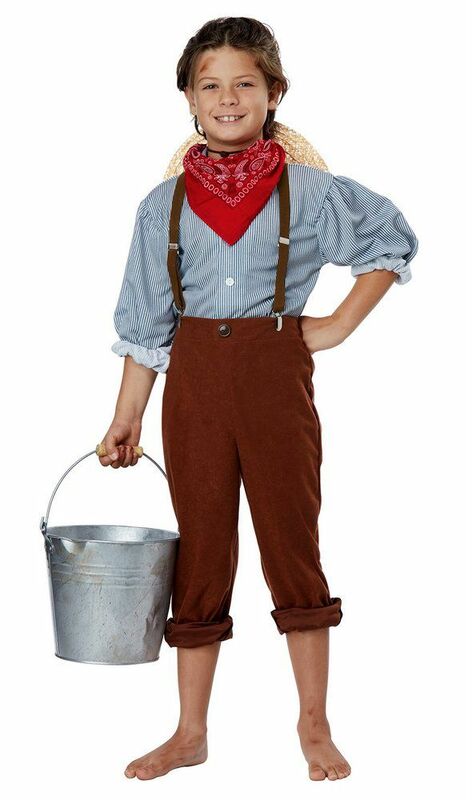 See more options in our Pioneer Costumes section!